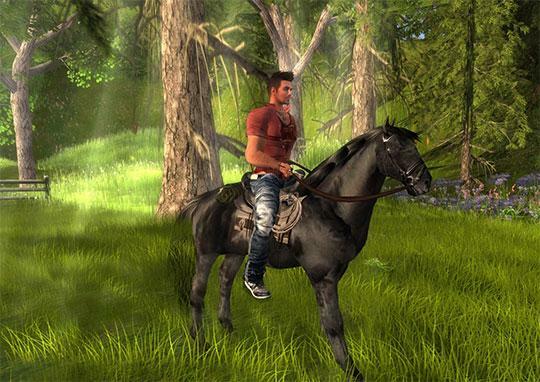 Rate this Article If you looking to buy yourself a nice horse to ride around or even to breed in Second Life, you’ll definitely want to read on to find out more. The marketplace in Second Life is simply huge – so huge in fact that it can be a tad bit hard to search for the best rideable horses the various Second Life content creators have to offer! Thus, we’ve done all the “grunt work” for you and have compiled a list of the stores along with what unique features that their horses have in Second Life. Are you ready? Well, here goes nothing! 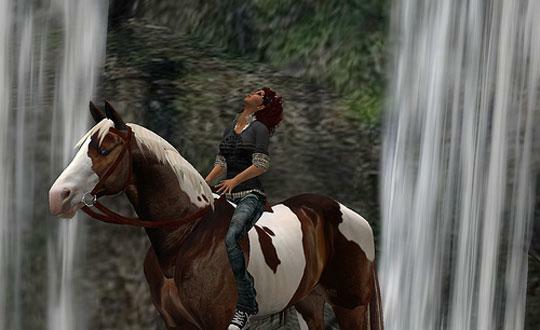 Many Second Life players-slash-horse riders would swear up and down that Amaretto’s horses are the best breedables there is... primarily, due to the realism of the horses they provide. Unlike the usual horse meshes that merely allow you to ride them around, you can – wait for it – actually breed them. The horses will be able to actually grow and have special traits that you can discover. Furthermore, due to the realism of these virtual horses, you, being the horse owner, will need to really take care of them, such as feeding them the proper food and giving them enough room to move around and exercise their limbs, as well. This is very important because Amaretto horses can get sick, and trust me, you wouldn’t want a sick horse on your hands. 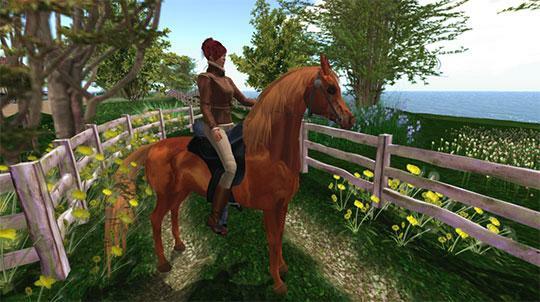 There are also some extras that you can get to further deepen the realism of Amaretto horses, like the popular add-on, the Amaretto riding animation overrider. It allows you to interact with your horse when you’re standing still and these interactions include patting your horse, changing your horseback sitting stance and many more. If you’re interested to get an Amaretto horse for yourself, you might want to check out Amaretto Ranch University first. It is a website set up by none other than Amaretto itself, which functions to educate potential (or old) customers about the many variety of Amaretto horses, how to train them and set them up for horse races, and even how to cure sick horses. If you’re looking for a simple yet beautiful horse to ride, a second group of equally vocal Second Life horse riders will definitely recommend the horses offered at the AKK Horse Ranch. 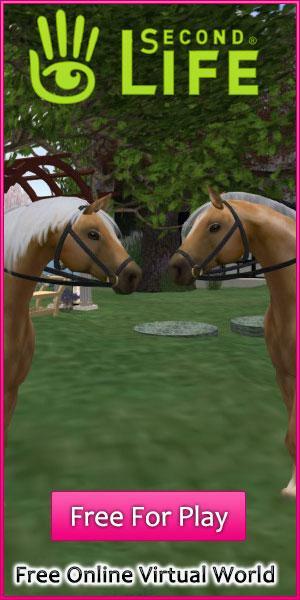 The AKK horses are synonymous to quality horses in Second Life. After all, they have been in the horse-creation business in Second Life for 10 years now, and they most certainly know their stuff. AKK horses are perhaps the best- and most realistic-looking rideable horses in Second Life. Their horses are so realistic-looking to the point where many AKK horse owners will profess their love for their horses profusely as you can see in the Second Life community forums. However, as the horses are actually “wearables”, you can’t really let your friends ride your horse or loan your horse to them, as you have to trade the horse over to them. In addition, “horse variety” should definitely be their ranch’s middle name as the ranch not only offer a wide, and I do mean “wiiiidddeeee”, range of traditional and unique horse breeds, it also stocks horses that basically would not exist in real life (a.k.a. Fantasy Steeds), such as Pegasus, unicorns, skeletal horses, and ghost horses. Also, unlike certain ranches where the horse’s looks are essentially fixed after purchase, you can easily get mod copies or perms from AKK to easily change and customize your horse. 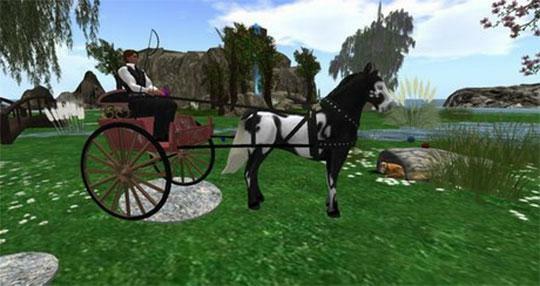 Of course, AKK horses are not just for looks – there are many menu options available for you to make your virtual AKK horse do whatever that a horse could do in real life, and in the case of Pegasus, anything that you think a Pegasus could do if it’s an actual and real horse. 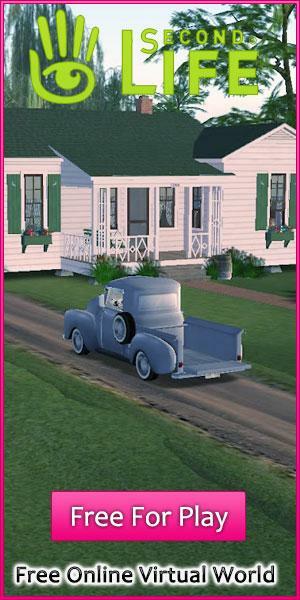 There are even add-ons like carriages, chariots, and stall barns that you can buy as well as a huge Island Ranch that the ranch has helpfully provide for their customers to ride and explore. If you love your AKK horse a lot, you will be very delighted to know that AKK Horse Ranch now offers merchandises, such as T-shirts, on its official blog at akkhorseranch.com. Arion Horses may not be as popular as Amaretto or AKK and they do offer less in terms of variety and coat color, but their horses are absolutely magnificent-looking – I’m sure the picture will speak for itself. Their horses have less prim than most virtual horses on Second Life and the horses are a lot easier to handle. With Arion’s horses, you’ll also get a bonus of having pretty realistic horse movements and sounds, as well as animations for both the horse and the rider. Similar to most horse vendors in Second Life, you can get other creative options for your Arion horse, such as adding a horse blanket, using their mod copies too. If you’re looking for an alternative for more realistic-looking, beautifully detailed (both in terms of graphics and animation) horses, you’ll definitely love the horses at Branagh’s Barn. Do check it out!